So here goes. 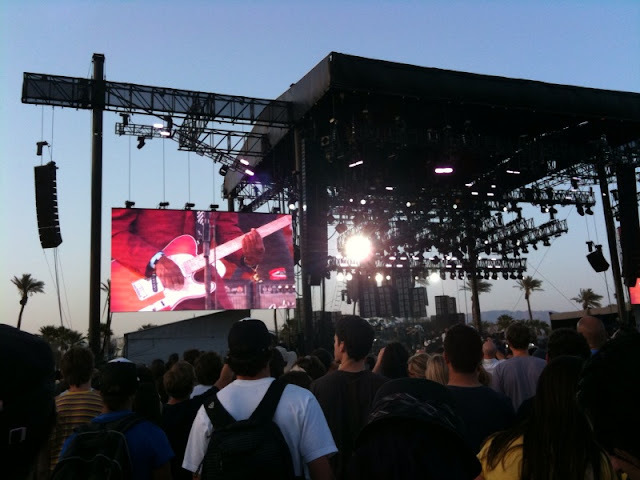 How to do a review of Coachella in few enough words that people other than my family may consider reading it. Amazing? Of course it was. Once-in-a-lifetime? Hopefully not. Crazy? To be expected. It’s going to take a little more than that, folks. So here’s where I’ll start. And I’ll put it into sections to make it easier for those who don’t like to read. The first band I saw was The Specials. I’m going to have to admit I overlooked their name when I saw the lineup. There I was, all focused on the hip, new music because I’m a blogger, blah blah blah, but man, never forget about the classics! Boy was I slapped in the face! They were awesome! But, sure enough…I was too excited to be seeing the scenery to stop in one place and really let it soak in. There was running-around-exploring to be done. Next up: Passion Pit. Now again, while I’m being brutally honest with not only all of you, but also myself, I will admit that I had a little (and yes, I mean little) thing against Passion Pit ever since I saw their MTV Woodie Awards act and was so bored by the main singer’s performance that I wanted to cry. The falsetto that he’s so famous for sounded forced and, quite frankly, terrible. Thus began my little Passion Pit boycott. Boom! Comeback city! 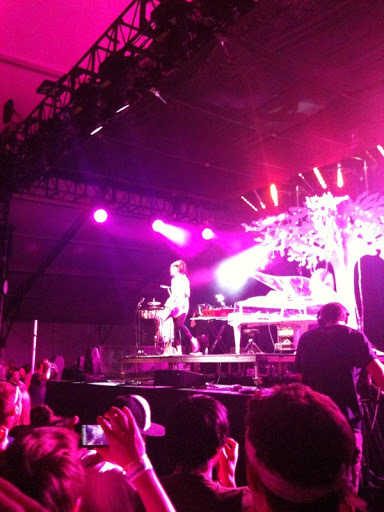 Passion Pit lived up to their original standards and were quite a fun band to watch at Coachella this year. Not that I would know, though, because I was too starstruck by the sighting of Whitney Port to be paying any attention to the music. She brushed against my arm. Total girl crush. Oh and another thing: her set was great. She was playing on a glass piano (read: awesome) and brought out a 3D tree decked in lights. Now before I get too carried away and lose all of you, I’ll start narrowing down my opinions. 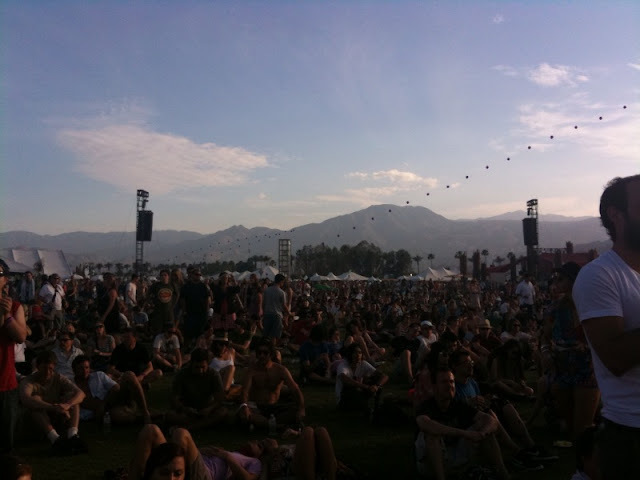 Saw Vampire Weekend from afar, they sounded amazing. The instruments sounded great, and Ezra Koenig, their main singer, sounded just as spectacular live as he does on the albums. 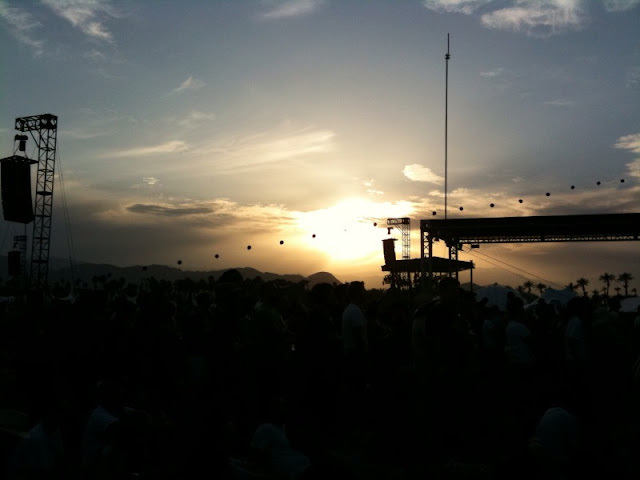 Of course I saw Jay-Z, who was stellar, and many of the other headliners. Powerful female vocals: check. Beautiful weather: check. 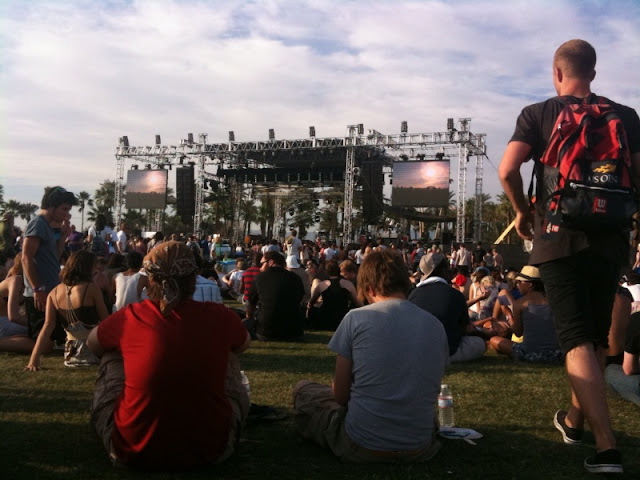 Right after Jonsi left the stage, the crowds really started packing in for Phoenix. And I would venture out to say that the crowds picked the right show to flock! They were really great performers live, and I think a lot of what’s to thank for that is that their main singer knows his limits. It seems he doesn’t try to hit notes that are out of his range, and for this, he sounds terrific live, just as one would hope. They of course closed the show with “1901,” which was extremely fun to dance to. Oh, and how could I forget! The highlight of this show was that I caught the beachball that people were throwing around and got to launch it into the air again. Big deal for a short girl. If you’re a fan of Local Natives, you might like this. Check it out if you haven’t heard it yet. Also wish I had caught Local Natives, though they’re coming to my area soon, so I’m not too bummed. Wish I could have caught Miike Snow, but they overlapped with Jonsi, and I know my priorities. 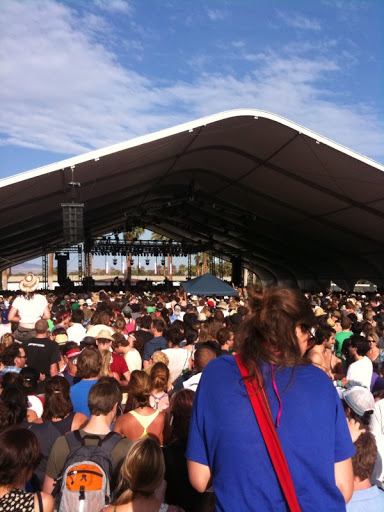 MGMT I saw part of, but their crowds were way worse than La Roux’s. They still sounded good, though. Anyway…enough rambling. Hope you enjoyed the recap, and hopefully you can make it out next year if you weren’t able to this year! I sure hope I can! That’s all for now. All songs are downloadable by right clicking and saving the attachment. Enjoy!